Life is busy. It seems to get busier by the minute. Do I hear any disagreement? No? Good. I remember when I was in college, I was super busy. I had my planner and I had my days planned down nearly to the minute. It made me feel productive, which I was mostly, and it made me feel like I was deriving value from my level of busy. This is particularly true of my grad school years. I had projects, study, classes, practice, lessons, collaborative work, work, etc. It felt good to be busy. I remember at one point saying to a friend, “I like going 280 miles per hour. I like the adrenaline.” Little did I know what that kind of schedule can do to a person. Now, as I look back, I just want to force some tea or sleeping pills or something down that girl’s throat. I want her to understand what a good night sleep can do to and for a person. Man alive. I’m still busy and I find that I’m approaching that point again of 280 miles per hour and I really just want to crawl in a hole and sleep. I go from my work with the elderly to my teaching with nearly no break most days. It’s pretty exhausting and then I worry about everything that is not getting done, such as vacuuming, dusting, and writing. Find a little me time. Take a small amount of time during the day to just be. Sometimes, that time for me is early in the morning before the world crashes in on me. Sometimes, it is taking a short walk during lunch. Sometimes, it involves putting my earbuds in and shutting everyone out for a few moments (even if nothing is playing through them). Everyone needs a little time without people needing them, in order to just remember/learn who they are and why they do what they do in the busy times. Keep a regular journal. I have always been a pretty good journal writer. I got my first journal when I was about 4 and my mom helped me write my first entries. I got hooked pretty quickly and have kept many journals over the years. I recently gave myself a challenge that I would write in my journal every night before I went to bed as a way to regroup and work through some of the challenges in my life. Let me tell you that this project has helped me more than any of the medications my doctors have put me on over the past couple years to help me with my stress. I’m still stressed over insignificant things but I find that I can make sense out of the stress and the busy by writing about the events/feelings of the day with no filter. I have no idea if any one will ever read my journals after I’m dead. If so, I wish them the best of luck. Have a standing monthly date with friends. This I have not always been so good at, especially over the past few years. During my busy college years, I always had several friends that I could call at any point and we could just go and do something. Oftentimes, that was just getting a smoothie and watching a movie, or going on a drive. Sometimes it was having a “What the Bleep Down the Rabbit Hole” night where nothing was planned and you just went with the flow. Whatever the event, it is important to leave everything behind for a few hours to be with people that actually like to be around you. I recently listened to an TEDTalk about friendship. There was a statistic stated that people with friends that regularly reached out to each other, lived longer and were happier than those who isolated themselves. Now, I will tell you straight up, I tend to the isolation side. I am super introverted and find that I enjoy decompressing on my own. However, I do have a select group of friends that I know that I can reach out to and we can support each other and do things together to decompress from our lives. In my life now, this often looks like a monthly movie, hiking, walks, or going for tea. Friendship is a funny, funny thing and it is sometimes so difficult to remember why it is important to have friends. Watch Netflix. Yes, I’m advocating screen time. Most of my Netflix time happens late at night, after I’m doing working/teaching/practicing for the day but before my journal part of the night. It is a time when I can watch something that I do not have to pay much attention to but has the opportunity of making me smile (I rarely laugh at TV/movies). I have a whole bunch of stuff on my queue but I typically end up picking something from a select group of shows – ones that have proven themselves successful with me. I have a friend at work that has started to recommend shows to me in the hopes that I will stop quoting Friends and 30 Rock. Blerg. Not everything in life has to be serious. Do something that requires little brain power – just don’t binge on shows for too long. Sleep is important. Find a hobby. This is hard. 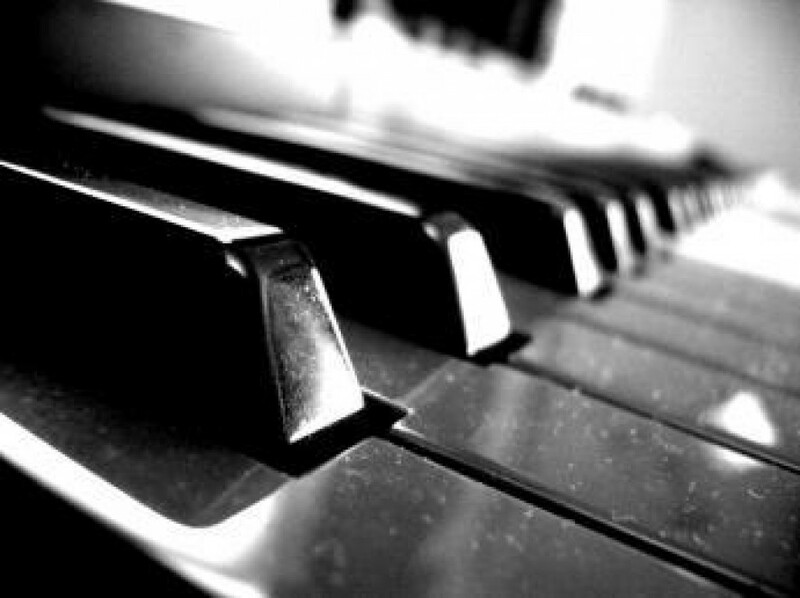 As a pianist, I find that I feel my hobby is supposed to be my livelihood – music. About a month ago, I was staying the night at my sister’s house and she said something that really stuck with me. My niece was saying something to me about something she had seen that reminded her of me. My sister said to her, “She is more than music. She likes other things too.” Well, it’s true. I like numerous other things. I like to read, write, go on adventures, rollerblade, hike, etc. A little over a year ago, my stress level had really gotten out of control. I had been to several doctors and my tests had all come back normal. They each told me that stress was making me sick. So, I was told to limit my stress. Let me tell you, friends, this is no easy feat and is a daily battle. My parents were in town when I had a test run and my mom decided to teach me how to crochet. That first dishrag was horrific. I even have the pictures to prove how horrible. I like to think that I have since improved my new hobby. In fact, I have taught myself some new stitches and made fingerless gloves, dishrags, bags, and am almost done with an afghan. I am not terribly good but it is something that I am working at and finding that I enjoy. I do not spend a lot of time on it every week but a little bit here and there. It’s important to find these things outside of our busy that help us remember that we are more than what makes us busy. I am more than my piano. Say it aloud. I am more than (insert your busy here). I am a sum of many things that that makes my busy seem less frantic. We’re all busy. That is just the nature of the beast in these modern times. Busy, though, does not equate frantic or agitated or uptight. Busy is defined as being actively and attentively engaged. Doesn’t that sound so much better than busy feels? I want to issue a challenge. For the next 5 days, I want you to find a way to find the calm. I want you to slow down for a total of 15 minutes throughout the day to just be and to enjoy the moment. Live in the moment, don’t live as a result of the moment.